Comp Cams Keyway Adjustable Billet Timing Sets are ideal for all street performance and race applications. 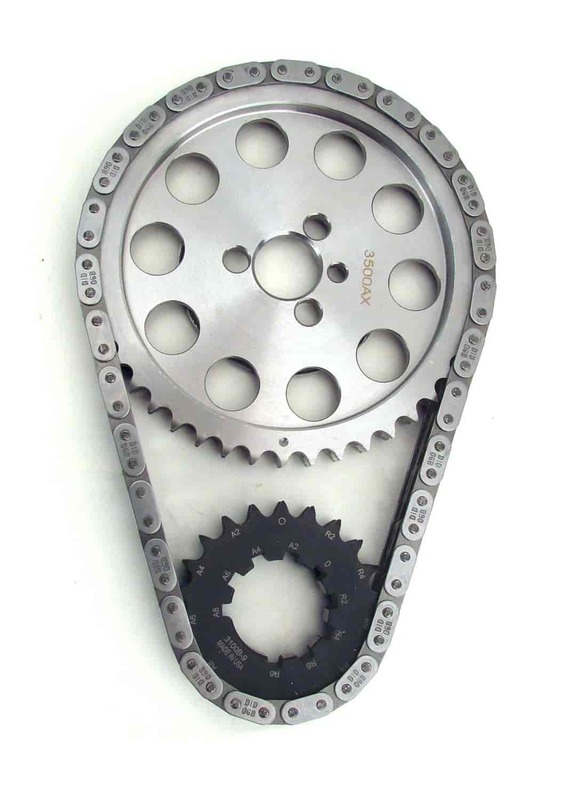 A 9 Keyway sprocket allows 2° of incremental adjustability for a total of 8° advance or retard. A Torrington roller thrust bearing is utilized for reduced fricton. The Billet steel gears are induction hardened. A pre-stretched, heat treated double roller chain with a heavy duty large pin design ensures the ultimate reliability and accuracy. Does COMP Cams 7110 fit your vehicle? 7110 - Comp Cams Keyway Adjustable Billet Timing Sets is rated 2.0 out of 5 by 1. Rated 2 out of 5 by Greg D from weak chain The timing gears are strong but the chain broke after 285 passes in my race car.